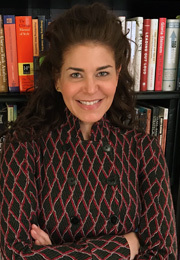 As an industrial psychologist, organizational development consultant and executive coach, Dr. Jennifer Weiss is dedicated to enhancing and optimizing talent and leadership in organizations. She specializes in executive assessment, employee selection, development, coaching, team building and retreat facilitation, and HR analytics and architecture. Combining the rigor of assessment methodology and up-to-date knowledge of leadership theory and research with strengths in compassion, authenticity, objectivity, and challenge, she customizes her approach with every engagement to best meet client needs. With extensive experience in leader and team assessment and coaching as well as serving as a strategic advisor and thought-partner to business leaders, Dr. Weiss is passionate about strengthening business results and organizational health through the cultivation of human capital. Her business approach is to partner with clients to provide services of the highest quality, integrity, and utility. After beginning her career in organizational effectiveness at United Airlines, she has provided consulting services for almost 20 years and been with HR Alignment since 2002 where she is now a partner and executive consultant. Dr. Weiss works with a broad array of clients, including Ascension Health, BP, Career Education Corporation, Chicago Public Schools, the Chicago Design Museum, ARCADIS, Froedtert & the Medical College of Wisconsin, Premier Farnell, Family Rescue, ACCESS Health Systems, Inland Steel, M&M Mars, McDonalds, Microsoft, United Airlines, W. W. Grainger, KONE, and Baxter Healthcare. In the areas of executive selection, coaching, and development assessment, Dr. Weiss collaborates closely with clients to provide highly constructive and targeted results. Her primary goal in development and coaching engagements is to provide clear, objective, and sincere feedback in a supportive manner to help clients increase their self-awareness and take ownership of their professional growth possibilities. In her executive coaching work, she helps executives better harness and leverage their leadership strengths, overcome developmental gaps, and create meaningful progress toward achieving their full potential. She has helped her coaching clients achieve significant change and better positioning within their organizations and attain deep self-insight and greater career satisfaction as a result. Dr. Weiss is highly skilled in working with teams during times of change, strengthening communication and efficacy, crafting meaningful teambuilding experiences, and helping teams work through conflict. She specializes in building high-trust, deeply respectful relationships with each team member that balances personal confidentiality with team-level transparency and council of key leadership. She then customizes team experiences such as offsite retreats and team meetings to meet the unique needs and goals of the organization, leadership, and individual team members. Such engagements often become long-term relationships where she works with the team on an ongoing, quarterly basis that often involves coaching key team members. She also conducts team and departmental assessments to determine which areas to target for resources (e.g., training, coaching, teambuilding) or talent changes. As in her team building work, she specializes in building trusting and highly respectful relationships with stakeholders that balance personal confidentiality with team- or department-level transparency and counsel. In the areas of HR analytics and architecture, Dr. Weiss provides a wide array of services. From in-depth, executive-level job analyses and the development and analysis of surveys to performance appraisal system development and organization-wide HR capability assessments, she partners closely with clients to build and assess HR processes that align with organizational objectives. Dr. Weiss received her Bachelor's degree in Psychology from the University of Texas at Austin and M.S. and Ph.D. degrees in Industrial and Organizational Psychology from the Illinois Institute of Technology. She is a member of the American Psychological Association, Society for Industrial and Organizational Psychology, and Society for Human Resources Management. To maintain a balanced perspective on life and work, Jennifer spends time traveling, scuba diving, reading novels and non-fiction, and attending concerts. She also provides volunteer consulting services for select non-profit groups.